Regenerative medicine involves the delivery of biological cells or cell products into a diseased area of the body to stimulate the healing process. PRP therapy repairs joints without surgery or drugs by isolating your body’s natural healing factors and delivering them right where you need them. Our blood consists of a liquid called plasma. Plasma is concentrated with white blood cells, red blood cells, and platelets. Each of these cells has a role in helping our body heal. Platelets hold the biggest key to healing and inflammation reduction because they contain high concentrations of growth factors. Growth factors stimulate the body to initiate the healing process. Cellular therapy is unique because it helps the body jump start the healing process. As your body ages, it loses its ability to repair itself. 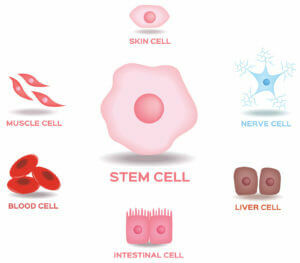 In the event of an injury or degeneration, the body relies upon more than just a stem cell. Our regenerative treatment works with your body’s natural functions to help supplement, cushion and provide support right where it’s needed. No surgery, no medication, and no hospital stays are just a few of the reasons why thousands have chosen regenerative therapies over traditional methods. Most procedures are performed in less than an hour with very little post recovery. Many patients are able to return to work the next day. We individualize each patient’s regenerative treatment according to their needs. All treatments we utilize are both safe and natural. Greatly reduce the need for surgery by treating injured tissues before the damage progresses any further. The goal of regenerative therapy is to heal injured tissue and not just mask the pain. Imagine alleviating your pain without the need for surgery. For decades, doctors have believed that once your joints have been injured, the only way to repair them is through surgical replacement. With new advances in medical technology, surgery is not your only option for treating injured joints, tendons, and soft tissues in your body. Regenerative therapies have been shown to regenerate cartilage, repair torn menisci, heal ligament and tendon tears and keep you out of the surgeon’s office. Regenerative therapy has helped many professionals and athletes heal from injuries and return to full activity 50% faster than without treatment (or intervention), minimizing the downtime they experience. 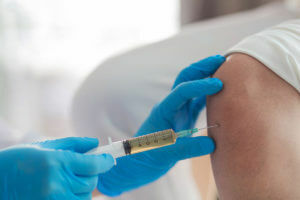 Treatment is done with a minimally invasive injection in the office under ultrasound guidance. It takes only a few minutes and is relatively painless. There are minimal restrictions after the injection. Schedule a consultation to see if Regenerative Medicine is right for you.